62 years, 5 months, 13 days old age. John Posey will turn 63 on 07 November, 2019. Only 6 months, 17 days, 3 hours, 44 minutes has left for his next birthday. John Posey has celebrated the total number of 62 birthdays till date. See the analysis by days count and bar graph. 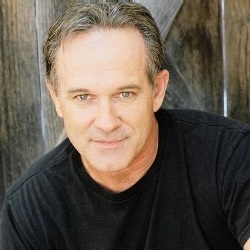 John Posey was born on 07-11-1956 in Hartford in the state of Connecticut, United States. He is an American Film Actor, Television Actor & Writer. He was born to William McCutcheon Posey, Jr. and Joan Armstrong. He has a brother named David Posey. He is married to Cyndi Garcia. He has three sons named Tyler Posey, Jesse Posey, Derek Posey, and a daughter named Mayra Posey.